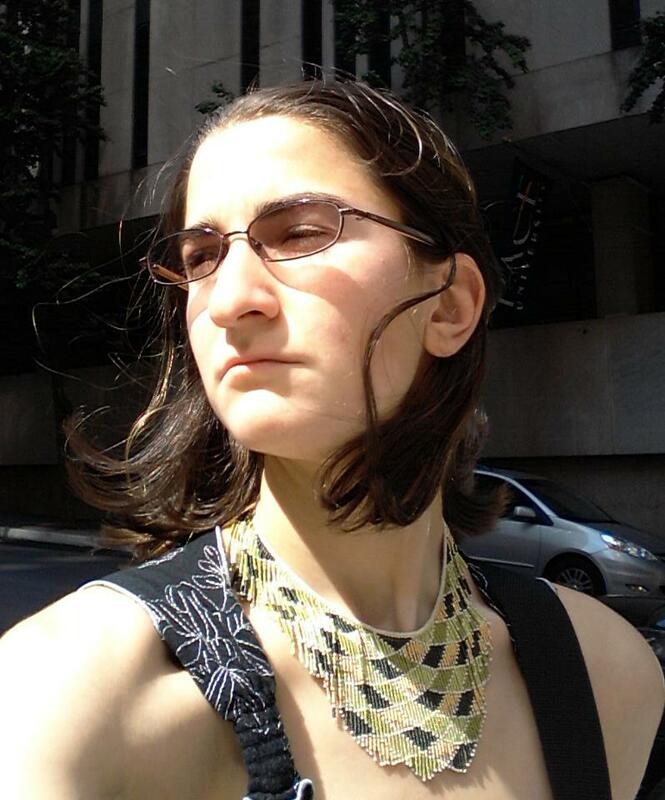 Anna Zaigraeva lives in New York City and works as a Russian to English translator. 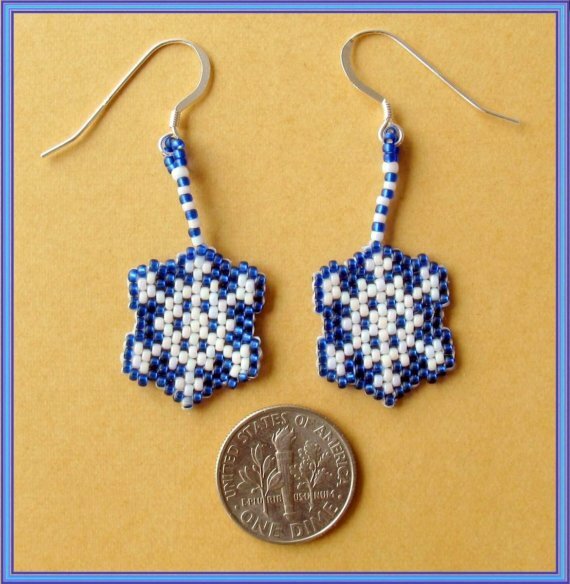 She designs beadwork jewelry in her spare time. -Anna, tell us how you started doing these and when? 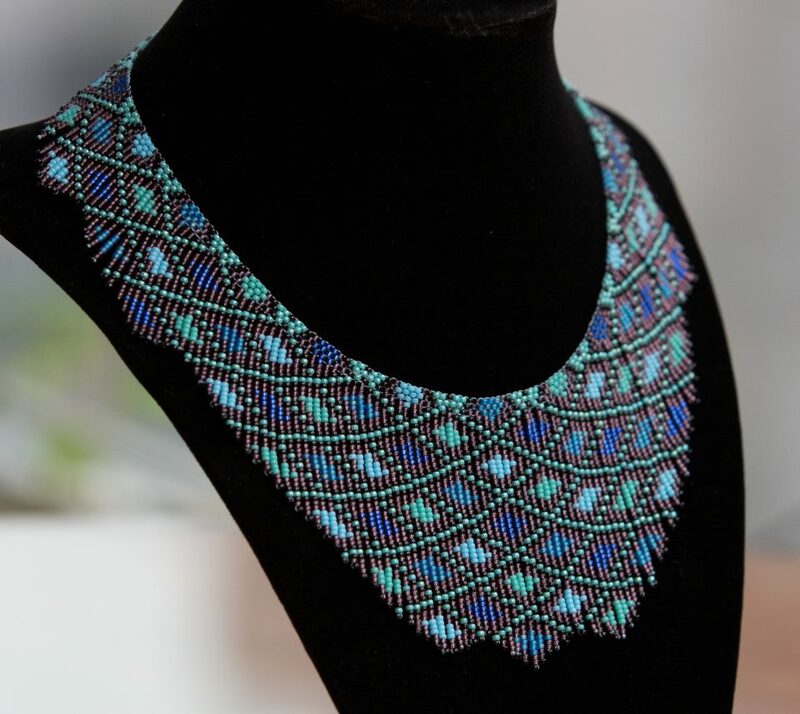 – I learned beadwork from my best childhood friend back in Moscow. We were both ten. Since I moved to the States, I’ve mostly just continued to learn by trial and error – I don’t subscribe to magazines or beading clubs or anything like that. So I’m not a hot-shot technique-savvy beader by any stretch of the imagination. -How long did it take to learn? – Not very long. They are difficult to make, but not because the stitches are tricky. It just takes a lot of time to pick and choose the right bead. I use high-quality Japanese Miyuki size 15/0 beads, which are pretty uniform compared to other brands, but even they are not uniform enough to simply string them at random and hope the pattern comes out. I have to constantly compare the fringe I’m working on against the previous one, to see if the next bead needs to be thinner or fatter to make the pattern work best. When beads are marketed as being the same size, it just means they have the same width and hole diameter – thickness varies quite a bit. 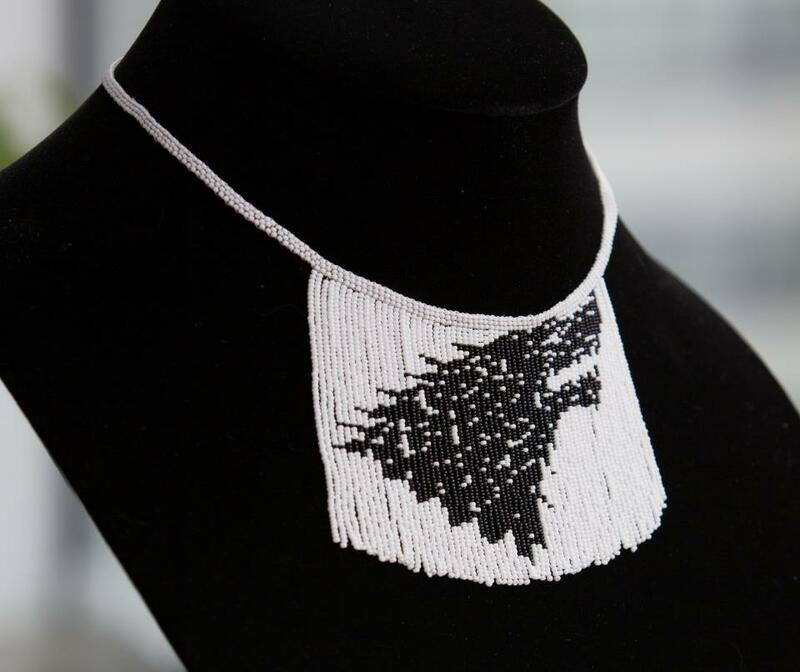 But this is what sets my necklaces apart from others that use patterned fringes: I hand-pick each of the 7000 beads specifically for its place in the necklace, and I also make sure the fringe is not too loose or too taut. So the pattern comes out as close to perfect as possible. – Are the supplies easy to get? – There are a lot of bead suppliers out there, so the main problem is price shopping. My best purchases usually come from the discount bins of the Toho Shoji store on 37th street. – What inspired you to make these necklaces? – My very first fringe necklace was inspired, as far as I recall, by a coral reef. The design I first chose was symmetric but extremely difficult – the necklace took me probably upwards of forty or fifty hours to finish, and I made a ton of mistakes. I’d like to try making it again at some point – it was different and interesting. Unfortunately, given how long it takes, it’d probably be too expensive to unload afterwards. But that’s all right. I might just end up giving it away to a friend. – So the first one took fifty hours, what about the ones that you made after that? – After that, I adjusted the pattern slightly, and they now usually take between 20 and 30 hours, depending on how many colors I use. The simplest pattern I make is solid diamonds – four colors and a border. It always takes several hours just to pick out the colors and make a sample. I usually end up trying out several combinations until I find the one that works best. – No, they’re actually super light. People are always surprised by this, since each necklace has about 7000 beads. But miyuki seed beads are very lightweight. So the necklaces rarely weigh in over 25 grams. And I recently started using even smaller beads – Czech size 15/0 rather than Japanese, so they’ve gotten even lighter. My new House Stark necklace with a direwolf head weighs only 13 grams, and that’s only because it has a rather big toggle clasp.